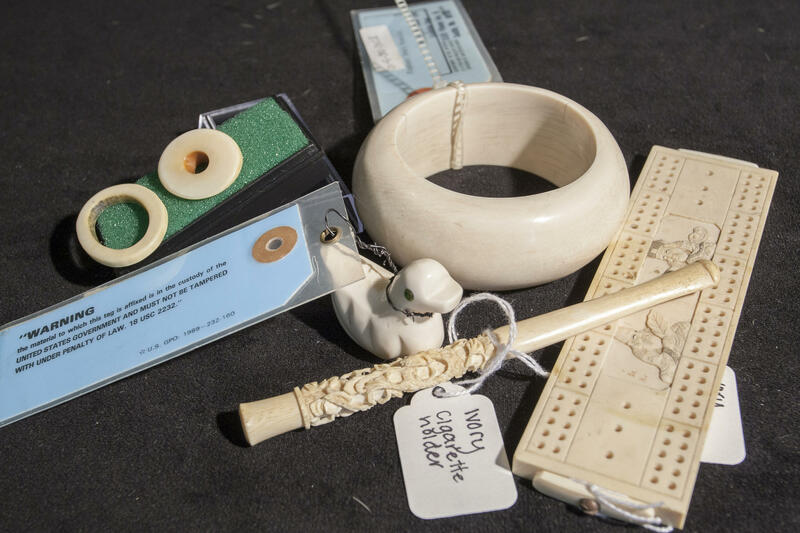 Assorted ivory knick-knacks are examples of the kinds of products tourists should avoid if they don't want to support illegal wildlife trafficking. 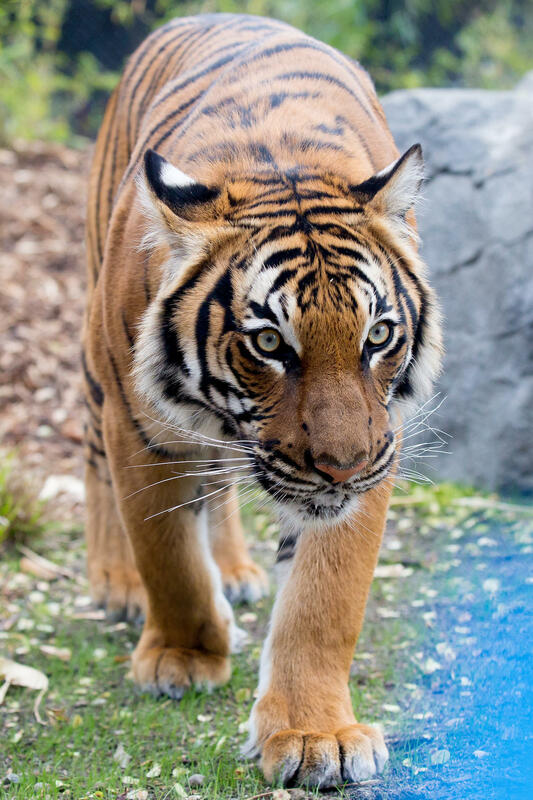 Malayan tiger at Woodland Park Zoo. Fewer than 350 Malayan tigers remain in the wild. 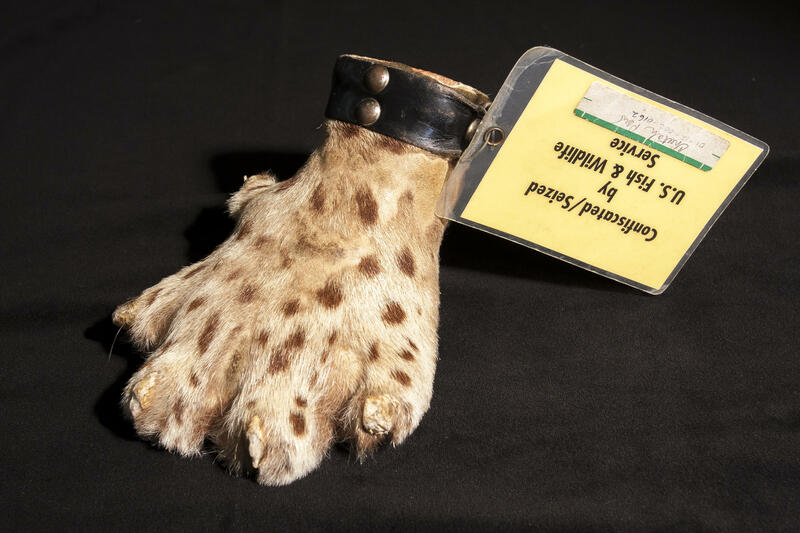 The U.S. State Department is looking to an unlikely source for help in its efforts to combat international wildlife trafficking: a hackathon at the Woodland Park Zoo this weekend. 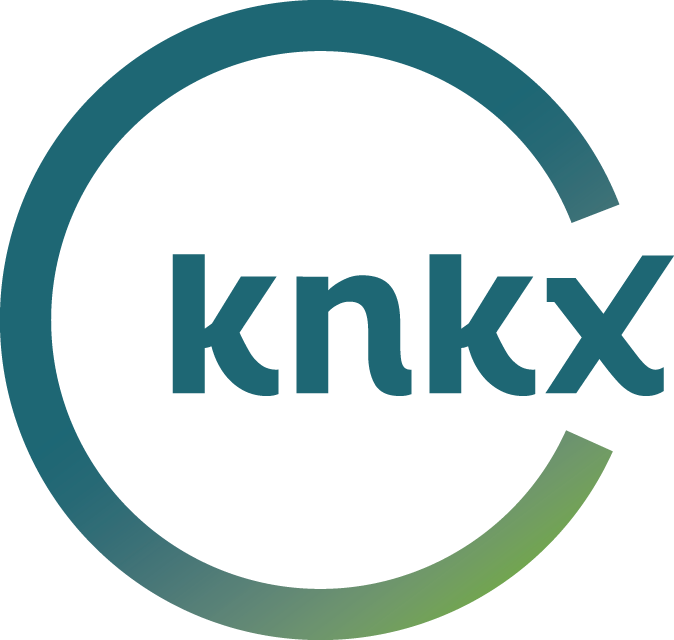 Woodland Park is one of six zoos around the world simultaneously hosting the so-called “Zoohackathons.” About 60 Seattle-area techies have signed up to spend 22 hours Saturday and Sunday creating an app, software program or other tool to help in the fight against wildlife trafficking. “So it’s a gathering of coders to help save animals,” said Fred Koontz. 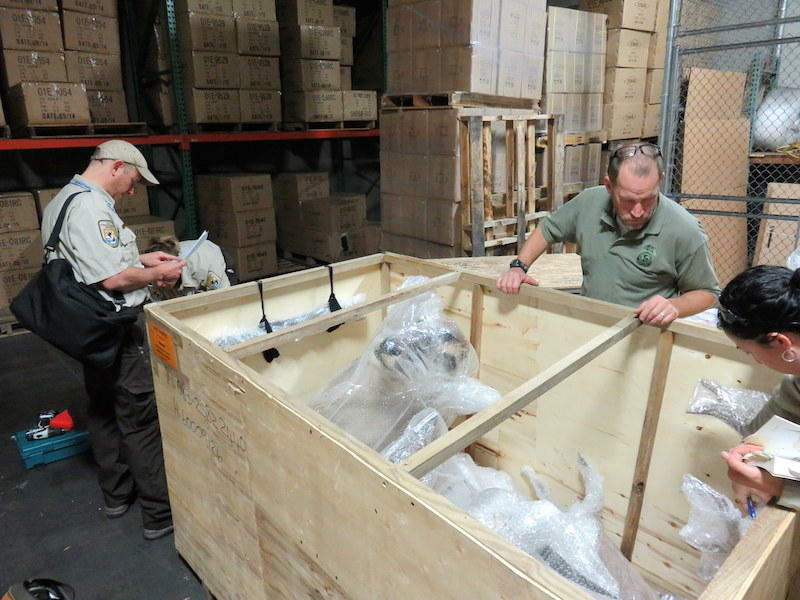 He’s the zoo’s vice president of field conservation and says wildlife trafficking is a multi-billion-dollar business, often linked to terrorism. The inaugural Zoohackathon will address everything from iconic tigers and elephants that are hunted for their fur or tusks, to lesser-known plants and mammals such as scaled pangolins that are traded for use in traditional medicine in Asia. Koontz says coders will tackle one of seven possible challenges, to help reduce demand for products that are poached or contribute to deforestation. Other tools they’re hoping might be developed include an app to help whistleblowers anonymously report trafficking incidents and an online game that would educate players about hot spots and products to avoid. Koontz says the event fits in with the zoo’s conservation goals of not just educating people but also providing a way for them to take action. Ted Barham is one of the volunteers who signed up. He’s a systems engineer working on a master’s degree in biology and says the hackathon looks like a great way to take the conservation goals of the zoo to the next level. The winning team will have a chance to advance to a global round and could take home cash prizes; multiple teams could also receive continued support to continue developing their projects. Event sponsors include Microsoft, Google and Vulcan. The idea for the zoo hackathon comes after the State Department’s success with a similar event, the Fishhackathon, which addresses issues around illegal fishing. Lucas Joppa leads environmental research at Microsoft and has judged a past round of the Fishhackathon in Seattle. He says even if the tech tools developed this weekend aren’t spectacular, these kinds of gatherings are worthwhile, because they get people more deeply engaged in the issues. “One of the things that’s great about hackathons is that regardless of the products that get delivered at the end, it really forces people from a wide variety of skill sets to sit down and spend 12-48 hours just really thinking intensely about a particular problem and how technology may or may not be able to help with that,” Joppa said. Results of the Zoohackathon will be announced Sunday afternoon. Representatives from the University of Washington and the city of Seattle are also also taking part as judges and mentors. 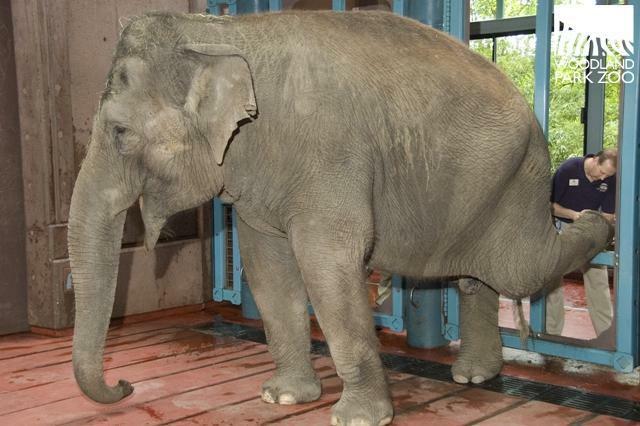 Woodland Park Zoo has announced it will phase out its elephant program by moving its two remaining females to a larger herd. An endangered red-crowned crane chick has joined the Woodland Park Zoo family. The male chick was born on May 13 to parents Niles and Maris, both 21-year-old cranes who were donated to Woodland Park by Japan’s Kobi Oji Zoo. Remember Seattle’s tallest newborn who stole the city’s heart on the day he was born? 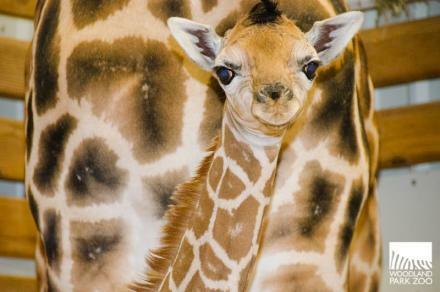 Now you can watch the giraffe calf all day long. Woodland Park Zoo has installed a camera inside the giraffe barn where the 6-feet-tall and his mother, Olivia, stay. He’s been mapping the illegal destruction and devastating decline of the majestic animals for decades and has now identified two main hotspots from which a huge portion of poached ivory originates. 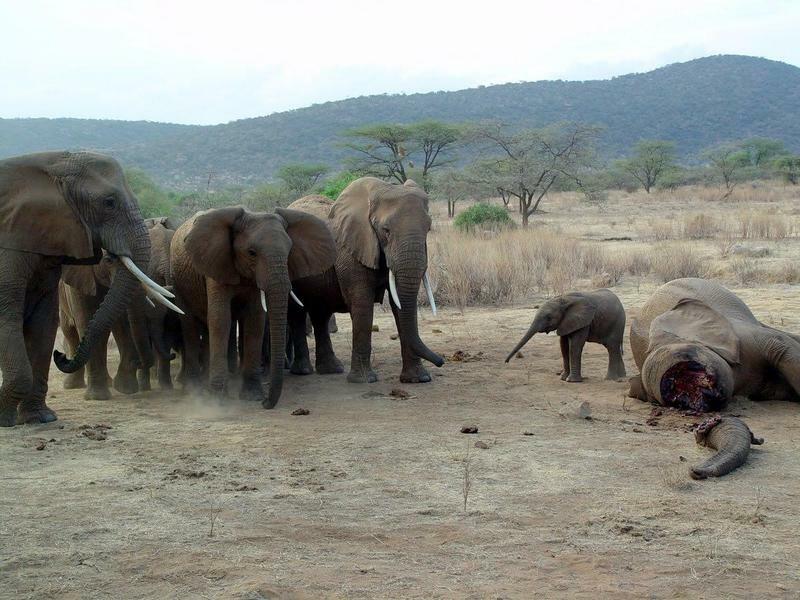 The Seattle-based researcher said two main areas in Africa are the sources of 85 percent of both forest and savanna elephant tusks that were seized by law enforcement during an eight-year period from 2006-2014.